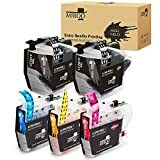 3 pack super high yield ink cartridge- 1 each: Cyan, Magenta, Yellow ink cartridge, approximate super high yield (XXL) 1500 pages. Innobella ink technology, fade resistant but color fast, providing high quality print with vivid colors and better definition. 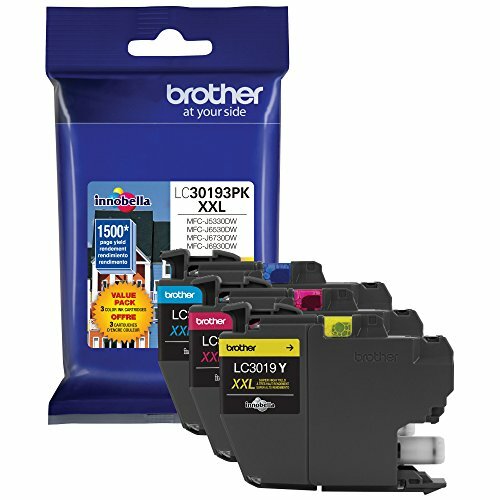 All genuine Brother Printer supplies are designed as part of an entire printing system and are designed with Brother products in mind, to provide a superior degree of quality. Genuine Brother ink is the result of extensive research and development of over 100 different elements. Innobella ink technology provides High quality Print with vivid colors and better definition. Our environmental program enables you to send back your used ink cartridge free!